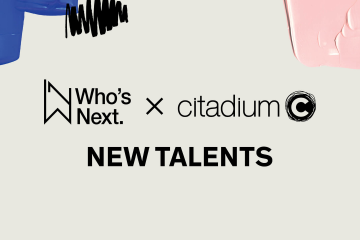 Premiere Classe trade show teamed up with ‘Who Is On Next’, a competition aimed at discovering new creative talents, organised by Alta Roma and Vogue Italia since 2005. 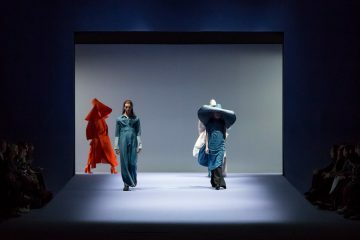 Premiere Classe hosted the 7 accessory finalists of the contest – decreed by the Financial Times as one of the 10 “World’s Most Important Fashion Prizes”- in a special area at the Porte de Versailles in September. The partnership between Altaroma and Premiere Classe is specifically conceived to create a conjunction, a prestigious link between Italy and the Parisian international expository platforms with the aim of promoting new emerging talents, to further enhance and stress the ‘Made in Italy’ label. Akhal Tekè was born in 2015 out of the inspiration of Benedetta Bolognesi and Gaia Ghetti. They created a unique line of flat shoes with embroidery, characterised by an elegant and refined coloured slipper, made in Italy. 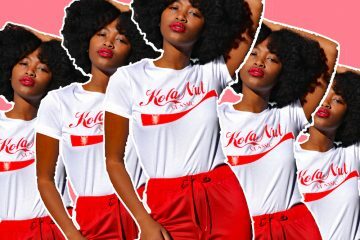 The brand name is inspired by his majesty Akhal Tekè, the golden horse, the athlete with the silk coat. For the SS17, they have been inspired by the Central Asian chivalry, the Turkmenistan ornaments and the imperial drawings of ancient China. 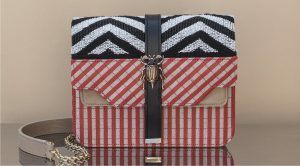 Founded in 2011, Azzurra Gronchi is a handbags brand that bears the name of the designer who previously worked at Dolce & Gabbana, Costume National and Ferragamo. The bags are made with a high craftsmanship, precious leather research and unique manufacturing, according to family tradition; in fact, the leather used comes from the historical family tannery, Samanta. 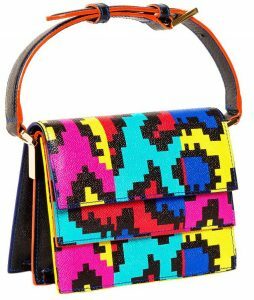 For the SS17, she imagined a blast from the past looking towards the future with fluorescent coloured leathers to create the pixel graphics bags in technicolour printed on the leather. 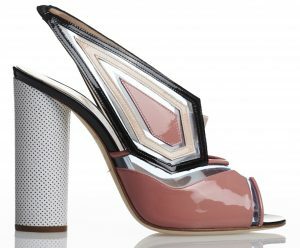 In September 2015, with an important technical background, Francesco D’Amico – former student at the Accademia di Costume e di Moda in Rome – founded and launched the luxury women’s shoe brand Damico Milano, now sold to important Italian and foreign retailers. The inspiration for the SS17 collection takes shape through the contact with Glitch Art. Technical materials and leathers with perforated and three-dimensional textures follow the lines of the basic styles. The IS brand is founded in Milan by Cyrpiot/Austrian designer Ioanna Solea in 2013. The brand strives to combine the spirit of the luxurious with the poetic side of the handcrafted techniques. 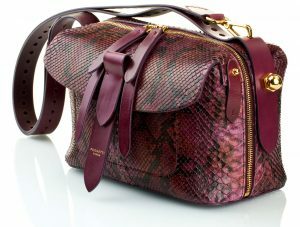 It features handbags and necklaces, entirely made in Italy. The SS17 collection is inspired from natural fibers and finishings, where leather and other material appear to be untreated. All finished with artisanal ribbons, brass metallic elements and poetic layered effect sequined embroideries. Lodovico Zordanazzo is an Italian footwear designer specialised in opulent collections with exotic leathers and textures. 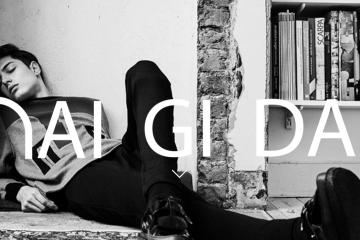 After being trained in fashion design at Istituto Marangoni in Milan, London College of Fashion and Central Saint Martin in London, he partnered in February 2015 with master craftsmen in Italy who are renowned for their work for Dior, Azzedine Alaïa and Versace, and individually handcraft each shoe. Such impeccable attention to detail, quality and design is the signature of every Lodovico Zordanazzo collection. After ten years of experience, Roberto Ferlito started in Florence, Schield, a luxury jewellery brand focused on innovation and Italian craftsmanship. 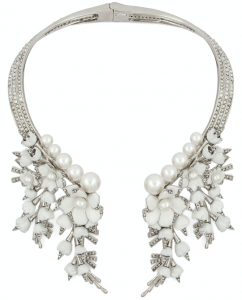 All pieces are designed, carved and decorated as if they were fine jewellery products. For the SS17 season, Schield plays with matter and its different stages mixing inspirations of the contemporary art with architecture and chemistry. Pugnetti Parma was established in the city of Parma in 2015, with roots into a knowing craftsmanship, whose techniques has been developed since the 18th century and placed at the service of the articulate imagination of designer Filippo Pugnetti. Playing with the aesthetic codes of classical forms, with the SS 2017 collection Pugnetti Parma analyses and interprets the volumes. The great winner will exhibit at Premiere Classe Tuileries from 29th September until 2nd October, Paris, Jardin des Tuileries.